July 2017: Proximus Engineering added another engineer to it's forensic team this month. James Welsh just finished up his forensic engineering training and is ready to get to work! James graduated from Mississippi State with a BS in Mechanical Engineering, then he went on to get a Masters in Engineering from Mississippi State following his bachelors. March 2017: Proximus is thrilled to announce it's nomination for the Auburn University Top Tigers of 2017! Joel Harris, the founder of Proximus Engineering is a 1989 Auburn University graduate with his BS in Mechanical Engineering. 2016: Proximus Engineering is pleased to announce the latest of its services, Forensic Investigation. Let the Proximus team help with all of your forensic investigation needs, including industrial accidents, fires, microbials, product failure analysis and much more. Click here to read more about our Forensic Investigation services. 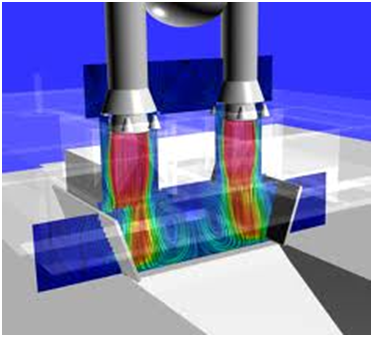 2014: Proximus Engineering announces that it now has Computational Fluid Dynamics (CFD) analysis capabilities. When it comes to heat transfer and fluid flow dynamics, we are your analysis firm.